Baking should always be fun, no doubt about that, but there’s something extra special about Easter Baking. The recipe’s are fun and focus dramatically on decoration, and you can include Cadbury’s Mini Eggs in pretty much all of them (kind of). 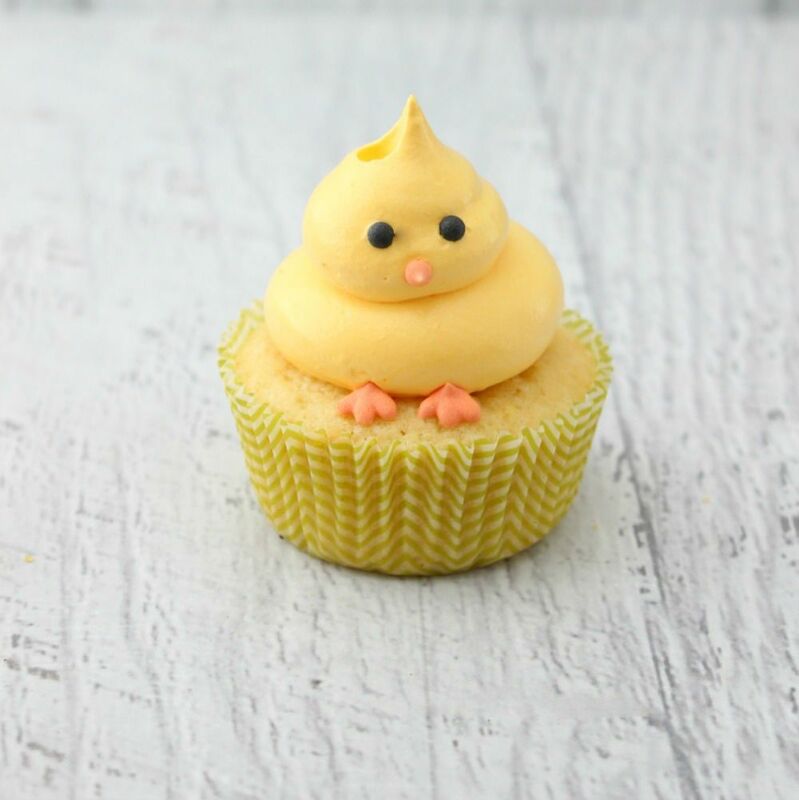 We thought we’d gather together the 10 cutest Easter decoration ideas for cupcakes. The beauty of these recipes is that they all derive from one delicious cupcake mix, talk about convenient! 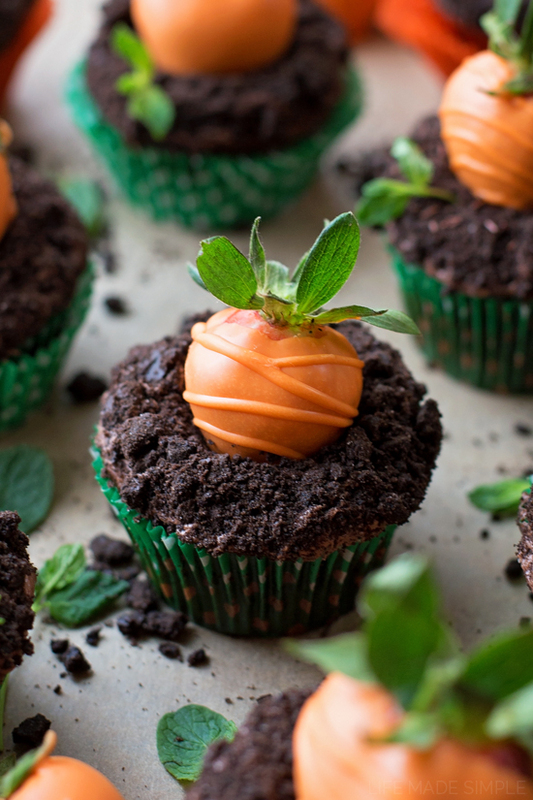 If you require a Gluten Free cupcake, this recipe is the absolute bee’s knees- view here. Before we jump right in, have you seen our lovely Easter Gifts? If you’re in need of a little spring ‘pick me up’ then take a peak, you deserve a little treat after all. View here. These cupcakes are unbelievable, perfectly sweet without being sickly but leave you wanting more and more. Just a little tip- bring all your ingredients to room temperature before you start, it works wonders! In a small bowl, combine sugar and seeds from the vanilla bean. Using the back of a spoon, move around the bowl and apply pressure to break up any clumps of seeds and to better infuse the vanilla flavor into the sugar. Set aside. In a medium-sized mixing bowl or bowl of a stand mixer, mix together cake flour, baking powder, baking soda, and salt. Add the vanilla bean sugar and mix until well combined. Add butter and mix on medium-low speed for three minutes. Because there is so little butter, you’ll end up with a very fine crumb texture. In a small mixing bowl, whisk together eggs, sour cream, oil, and vanilla extract until smooth. Add the egg mixture to the flour mixture and beat on medium speed until just combined. Fill cupcake liners just over 1/2 full. Bake for 14 minutes and then test to see if they are done. They are done when a toothpick comes out without wet batter stuck to it. The cupcakes should appear white with specks of vanilla bean. They should not turn a golden brown. If they are not done, test again in two minutes. If they are still not done, test again in another two minutes. When the cupcakes are done, remove them immediately from the tins and leave them on a cooling rack to cool. Here’s where the real fun begins. This genius idea is from the one and only Hobby Craft, view it here. With some super simple steps and an adorable result, these cupcakes are sure to make everybody smile! Adorable and great to make with little ones, you can either make a nest with little bird or a nest filled with eggs. Either way, we’re obsessed! View the recipe here. If these aren’t the cutest darn cupcakes we ever did see. Such a brilliant simple idea from Life Made Simple, view the recipe here. Such a simple recipe but so effective, perfect for making with little ones. Why not let them place the feet on the frosting? This recipe is from The Simple Sweet life, view it here. 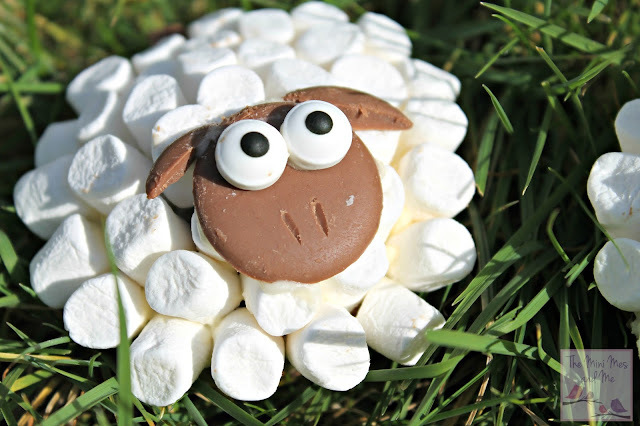 Who doesn’t love marshmallows and chocolate buttons, especially when they are put together to look like a sheep! View this recipe from The Mini Me’s and Me, view it here. What is more adorable than a bright yellow sunflower? An edible bright yellow sunflower of course! This recipe is from Sally’s Baking Addiction, view it here. Wondering why you’ve never thought to do this before? Yes, us too. What a fantastic, effective and simple idea! These goodies are sure to be a conversation piece at your next easter soirée, view the recipe here. The joy is in the details, why not transport your freshly baked cupcakes in an egg carton? Again, so simple yet so great. This delicious recipe is from Garnish & Glaze, you can view it here. 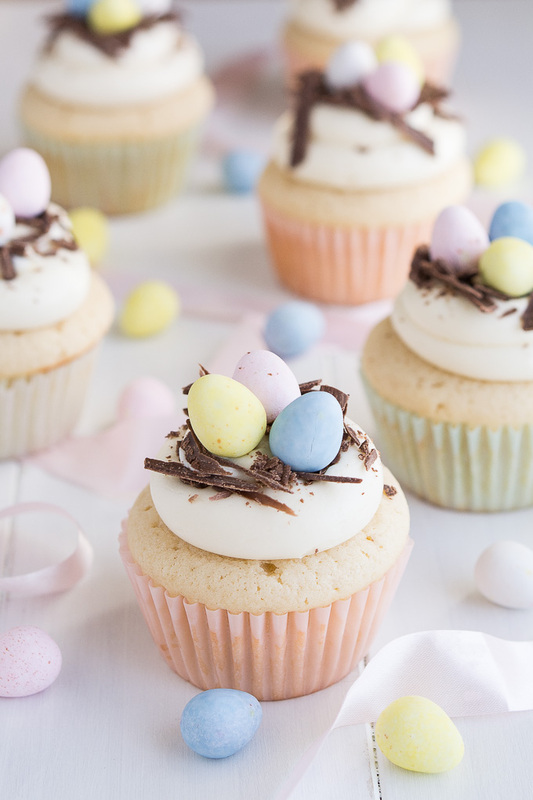 There you have it, our favourite Easter Cupcake recipes. When it come’s to adorable icing designs, the sky is the limit. Be sure to tag us in any of your creations as we would love to see! You have to try this Egg Ravioli Recipe! What the heck is a Cloud Egg? & Why you need to be Eating them!